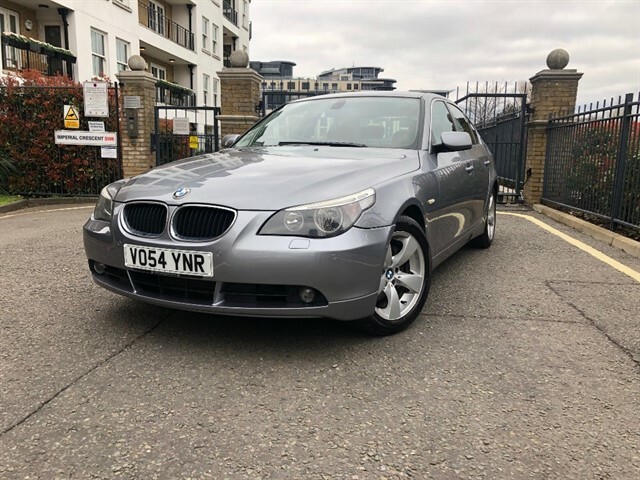 BMW 530d SE 2004, this is a one owner car that has been maintained regardless of cost and it shows. The car drives quite literally like new and has never wanted for anything. In lovely order and a recent part exchange from a gentleman who bought another BMW from us. Please see the photographs of the service history. Air-Conditioning (Automatic), Alarm, Alloy Wheels (16in), Computer (Driver Information System), Cruise Control, Electric Windows (Front/Rear), In Car Entertainment (Radio/CD), Paint Metallic, Parking Aid (Rear), Seats Electric (Driver/Passenger), 2 keys and all books present. It would be a brilliant Station car!